Most women love for their hair to be strong and healthy, shiny and thick but sometimes this can be a challenge! Finding the right products that will help hair grow and stay strong can be difficult and become downright frustrating! No one wants to spend money on product after product that doesn’t work! 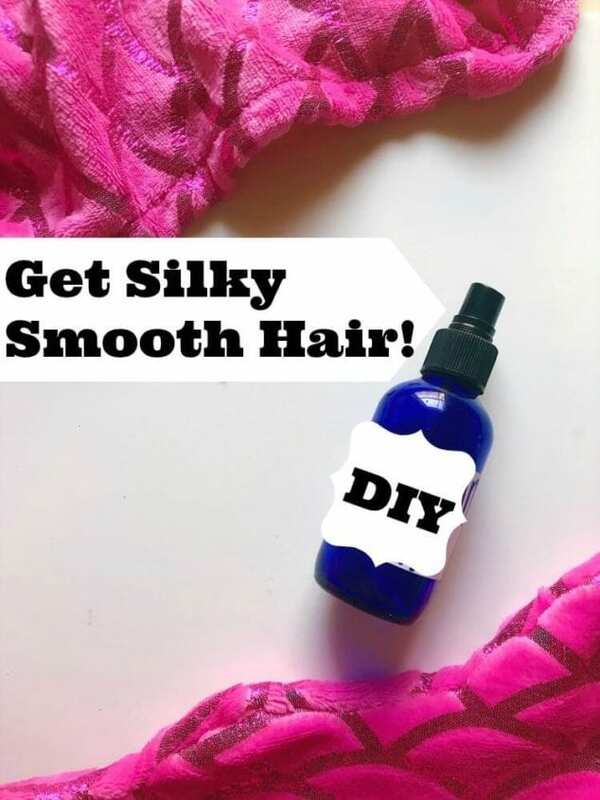 If you are wondering how to get silky smooth hair that is strong and healthy, this homemade, all-natural essential oil infused hair spray is just what you need! It’s gentle since it contains zero chemicals but really does help strengthen hair and help hair growth. It also keeps hair looking shiny and moisturized! Strong shiny hair comes to those that care for their hair. Part of secret to how to get silky smooth hair is in not over washing your hair which can strip hair of its protective oils. If you wash your hair everyday, try washing it every other day instead. You can even just wash your hair once or twice a week depending on how quickly your hair tends to get oily. Another part of the secret to how to get silky smooth hair is in not over treating it by bleaching it or perming it too often. Beyond this, using natural healthy hair care products is a good choice. The DIY Healthy Hair Care Spray recipe I will share with you is a great choice for strengthening your hair and increasing it’s natural silky smooth shine and softness. It is even great to support DIY hair growth. This DIY Healthy Hair Care Essential Oil Spray has four essential oils. First, let me tell you why I have chosen these. Young Living’s Lavender essential oil is nourishing and helps keep hair manageable and smooth. Young Living’s Cedarwood helps stimulate the hair follicles by increasing circulation to the scalp and keeps the scalp moisturized. Young Living’s Rosemary help increase cellular metabolism which helps hair to grow and stay strong. Young Living’s Geranium essential oil helps keep hair to be smooth and helps prevent split ends as well. If you have a lot of split ends already, you may want to get a trim or try a coconut oil hair mask as an one time intensive solution. If you want silky smooth hair like a mermaid, you will love this everyday hair care spray because it adds luster, moisture and smoothness to your hair. Once you have gotten your ingredients together, start with the distilled water. Fill your glass bottle up 3/4 of the way with distilled water. Glass is best to make sure it doesn’t interact with the essential oils as plastic may. Next, add your essential oils. 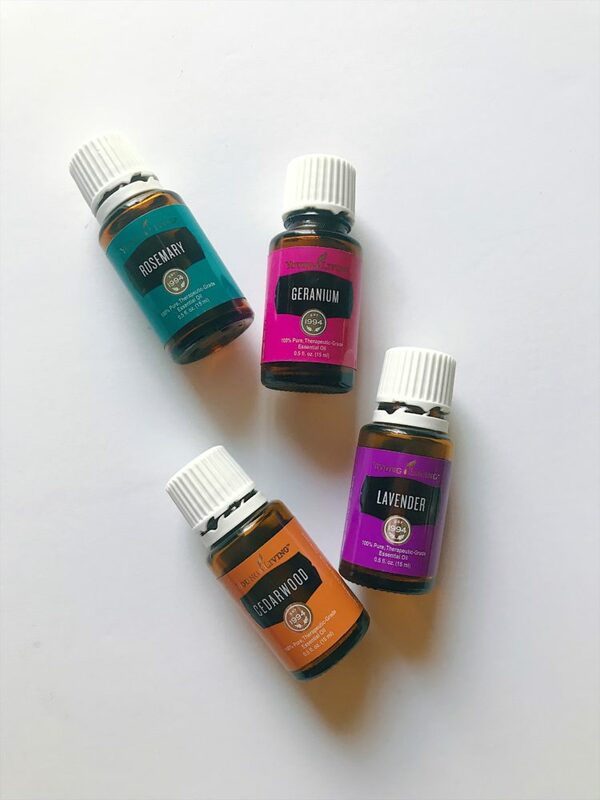 Add 30 drops of Lavender, 30 drops of Cedarwood, 20 drops of Rosemary and 20 drops of Geranium. Add 10 drops of jojoba oil which is high in vitamins A, E and D and great for all hair types. 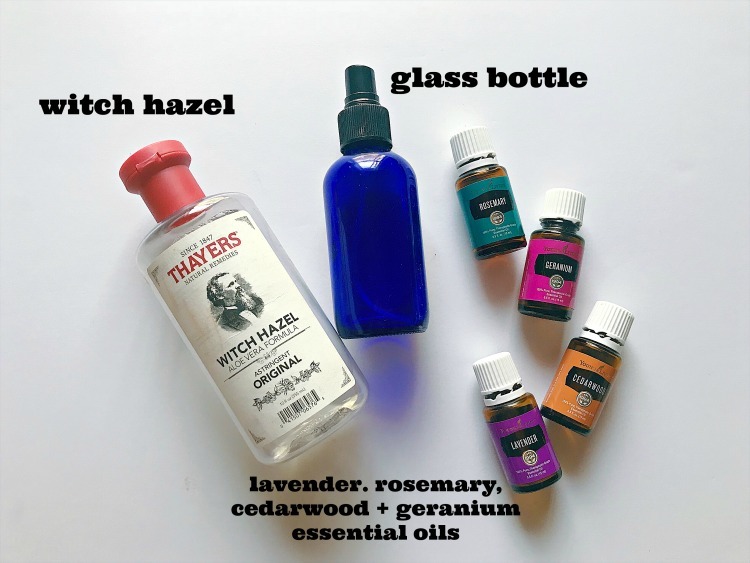 To finish, fill the rest of the bottle up with witch hazel (this will help your oils disperse evenly throughout the water). Screw your bottle cap back on and shake. Your DIY Hair Care Spray is ready! It can be sprayed on damp hair or dry hair. If spraying on damp hair, dry and style as usual. Have you made home remedies for healthy hair before? 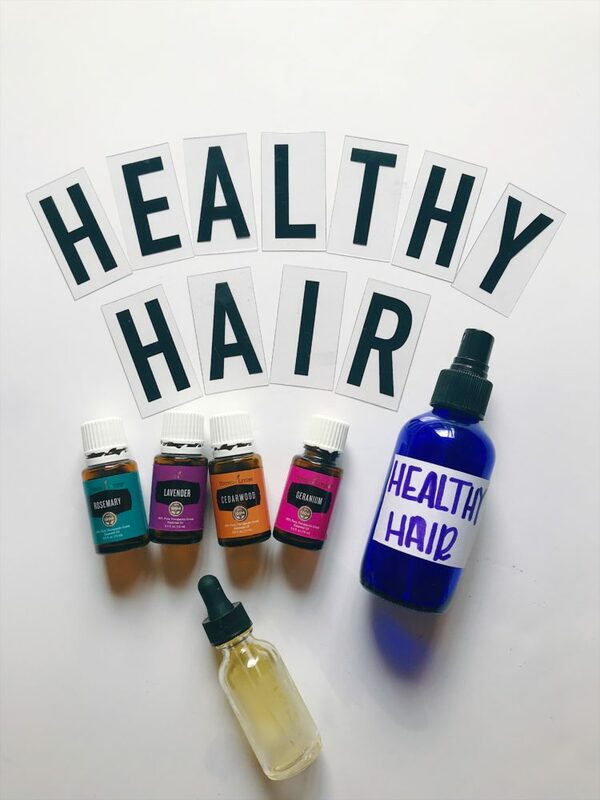 Get healthy hair naturally and give this DIY Healthy Hair Care Spray a try the next time you’d like to give you hair some extra strength! I think you will enjoy this easy trick for how to get silky smooth hair. It works really well for me! Let us know how it works for you. Use a shampoo and conditioner made for color treated hair. This will bring in as much moisture as needed. Also try deep conditioning your hair and lay off the heat because heat damages your hair. Impressive post by you Rachel Easley…. Your idea to get silky smooth hair is really good and reliable.